Being a fine art perfumer, I occupy a somewhat precarious niche. I’m not in a position to claim I am a perfumer as I do not have any direct experience in the profession. Yet through a combination of research, exploration, intuition and a little expert guidance, I have come to understand the perfume making process. And when my unique approach to perfumery is also taken into account, It becomes apparent that I can offer a meaningful exchange of knowledge through perfume making workshops. The key is transparency. In an effort to manage expectations I begin each workshop with a full disclosure detailing my fine art background, my approach to perfumery and how my workshops are about experimentation and exploring the full possibilities of fragrance from a contemporary art context. 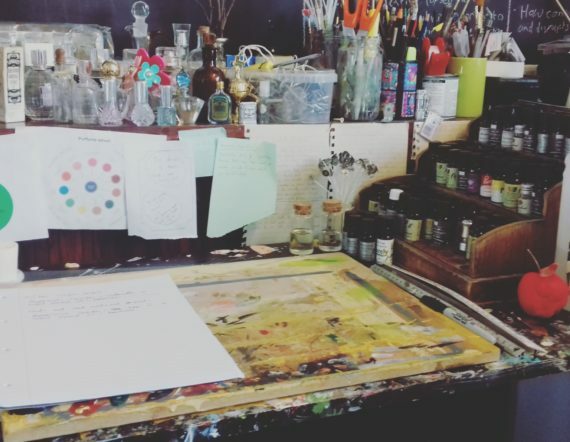 Each workshop is framed this way and as such, each participant is aware that they are being guided by someone who is an artist, not a perfumer. This is an important nuance to clarify as it defines and contextualises the entire workshop – establishing the fact that they are all about creating art using the medium of fragrance and the craft of perfumery. In a physical sense, each participant leaves with a work of art crafted using perfume making techniques; it is nominally a bespoke bottle of 50ml eau de toilette. 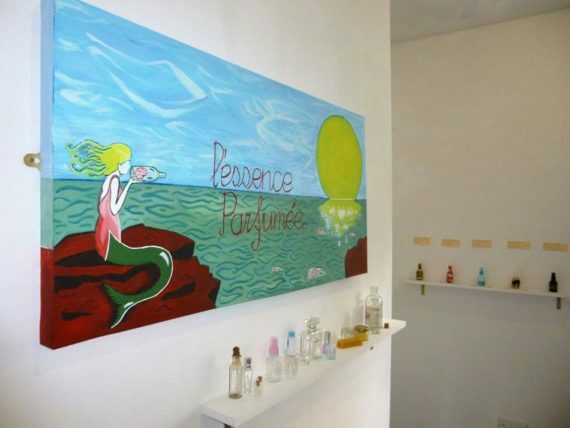 But they also understand that, while they haven’t been guided by someone with an extensive knowledge of perfumery and fragrance, they have been guided by an artist who has highlighted the capacity fragrance has to accommodate contemporary art concepts; including portraiture, narrative, metaphor and symbolism. From my point of view, these workshops are among the most satisfying to deliver as I feel that there is a mutual exchange of knowledge between myself and the participants: Many are equipped with basic knowledge of essential oils, aromatherapy and fragrance, and are keen to learn how to apply such knowledge to art and perfume. Whereas I am keen to extend my knowledge of the ingredients found in perfume in order to effectively utilise them from a contemporary art platform. 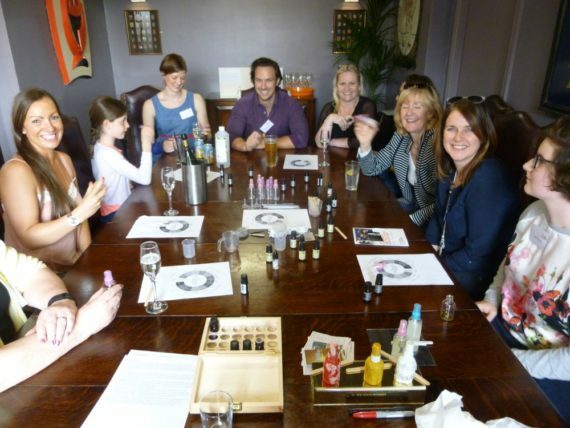 These last two weeks have seen me deliver no less than 4 perfume making workshops across the UK. Long may they continue. As a practitioner of ‘Perfume Portraiture’ for over two years it’s only natural to find myself deviating away from the central premise in order to expand my knowledge, perception and appreciation of fragrance and the possibilities therein. And so, while the act of creating perfume portraits will continue to occupy a prominent part of my creative output, I have also begun to explore the capacity scent has for social and political comment. 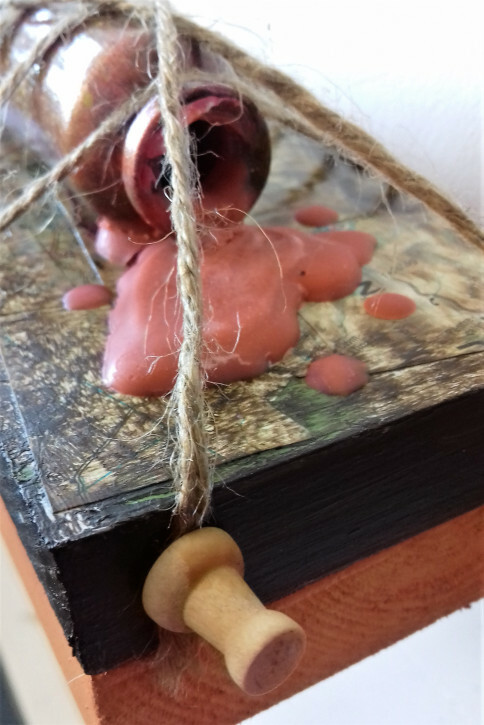 As such, ‘Scents of Our Time’ a project that sees response to world events take the form of candle making, has been born. It began early June, against the backdrop of abhorrent terrorism offences plaguing the UK, all under a turbulent political landscape. In an immediate and responsive moment of creative action, I considered the notion of the ‘One Minute Silence’ – a period of silent and respectful contemplation usually in the wake of a tragic event. 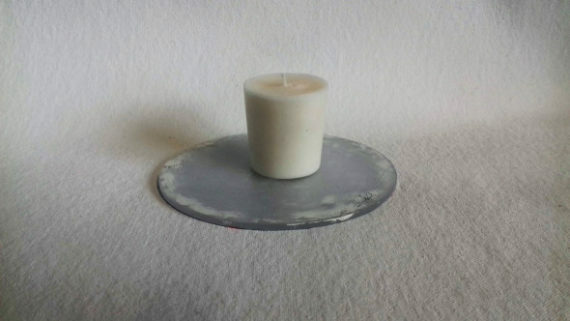 I created a candle as a means to express the sentiment of the one minute silence, and as a means to reveal the capacity scent has for humility and quiet observation. Humble in it’s aesthetics, with a grounded and meditative blend of frankincense, lavender and sandalwood, this candle affords a grounded mental capacity which allows you to engage in reflection and contemplation. A true representation of the ‘One Minute Silence’ then? Well, hopefully. But more than that, it has initiated a body of work that will further explore the possibilities of scent in a contemporary art context. Another string to my scented bow. Last week I talked about common initial reactions to my work, this week I thought I’d bring to light another preconception I have to contend with – which is that scent in art is gimmicky. While I think that can certainly be true. I don’t think my work is. And here’s why: I am remaining true to a craft. Perfumery is difficult, and requires extensive knowledge of scent, fragrance families, how the nose receives smells and how to delicately balance oils in order to achieve a high quality fragrance. Indeed becoming a Master Perfumer requires around 20 years of honing the craft. This is what allows my own work to achieve a certain weight and depth, as being sensitive to the craft of perfumery enables me to utilise a tangible skill that can be learned, refined and – crucially – imparted. This in turn allows the exchange knowledge, thoughts and experiences which an audience can engage with. Not that I intend to emulate Master Perfumers, as I believe placing perfumery into a contemporary art platform allows for a degree of experimentation, innovation, freedom and failure that you seemly don’t get with conventional perfumery and it’s need to turn profit. But I do want to subvert common preconceptions of perfume, and you can’t subvert something effectively without first immersing yourself in it. Upon contemplating my work, and the processes behind my work, initial reactions from an audience almost always tend towards how scent evokes memory. Over the years I have accepted this as an inevitability, and it’s not as though I begrudge such responses, but I do strive against utilising it in my work. Why? Well for a few reasons. Firstly, if I aim to confound and challenge perceptions of scent and what scent can be, then I need to remove myself from preconceived concepts. Besides which scent and memory have been exploited in creative practice many times, and I see no reason to contribute to such themes myself. Secondly, while it’s hard to argue the neurological links between scent and memory, it certainly isn’t unique as all the senses have connections with memory. Given this, it’s reasonable to theorise that scent has links to our relationship with the world that exist away from memory. And it’s these other possible relationships between scent and ourselves that I seek to discover, refine and utilise. Contributing to a wider discussion about scent relative to our lives and contributing to our collective knowledge of scent in a way which adds to our understanding of it is when I position myself and my creative practice.